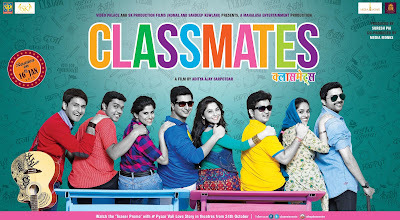 "Classmates (क्लासमेट्स)" marathi movie is directed by 'Aditya Ajay Sarpotdar' and its screenplay is written by Kshitij Patwardhan and Sameer Vidhwans. It is a remake of Malayalam film with the same name. The beautiful scene is captured by cinematographer K.K.Manoj. Release Date : 16th January 2015.